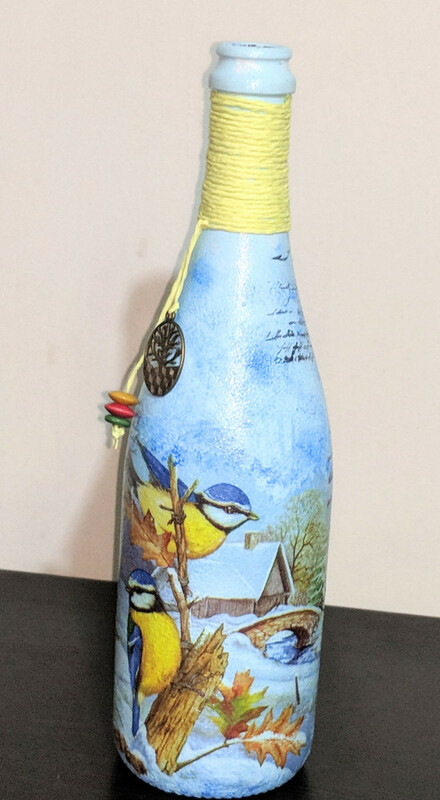 This decoupage bottle has lovely birds around it, it can be used as a flower vase or just as a home decor item. It can be cleaned with a wet cloth. Wine bottle, design paper, acrylic paints and other accessories.